In 1994 Nintendo went back to where it all began with a remake of Donkey Kong. Though to call this Game Boy platformer a remake is unfair. Overlooked and underappreciated, Donkey Kong ’94 is a bite-sized classic that broadens and deepens the original arcade game. The legend returns – the first level of Donkey Kong (1994). That arcade game is still there – the first four levels, the music, and the gameplay of Donkey Kong are all preserved intact. But at the end of the “final” battle, Donkey Kong kidnaps Pauline and escapes, with Mario in pursuit. And he’s actually Mario this time, Jumpman no more – does this count as the first video game retcon? What follows are over 100 completely new levels, each stage requiring you to dodge enemies and traps to safely shepherd a key to unlock the exit. Donkey Kong ’94 is old-school platforming with a puzzle twist. Levers alter the level layout – reversing the direction of conveyor belts, opening doors, and raising or lowering elevators. 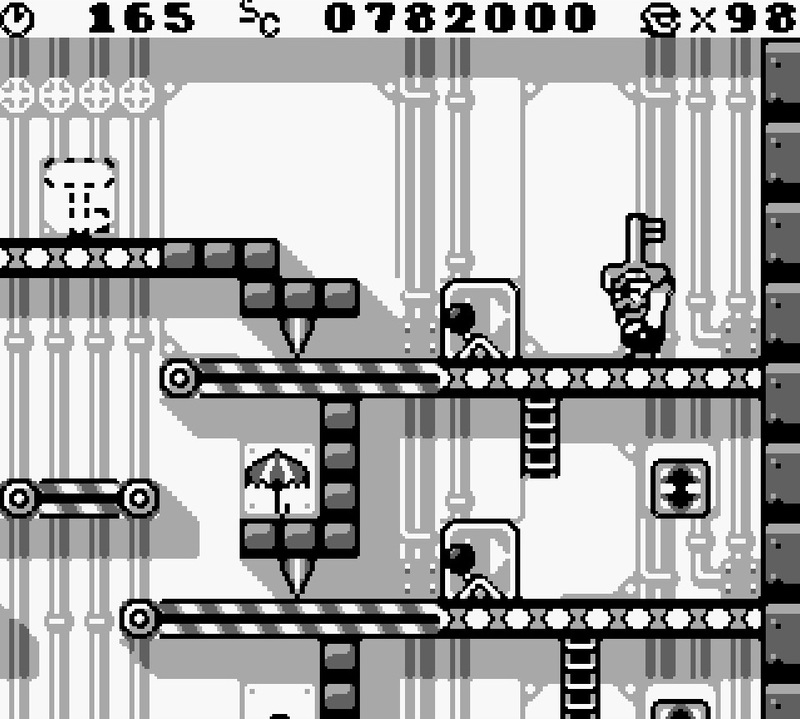 Bad guys can be used as makeshift platforms or weapons (in a move straight from Super Mario Bros. 2, Mario can grab and throw enemies). And special items enable you to construct ladders and walkways that expire after a few short seconds. 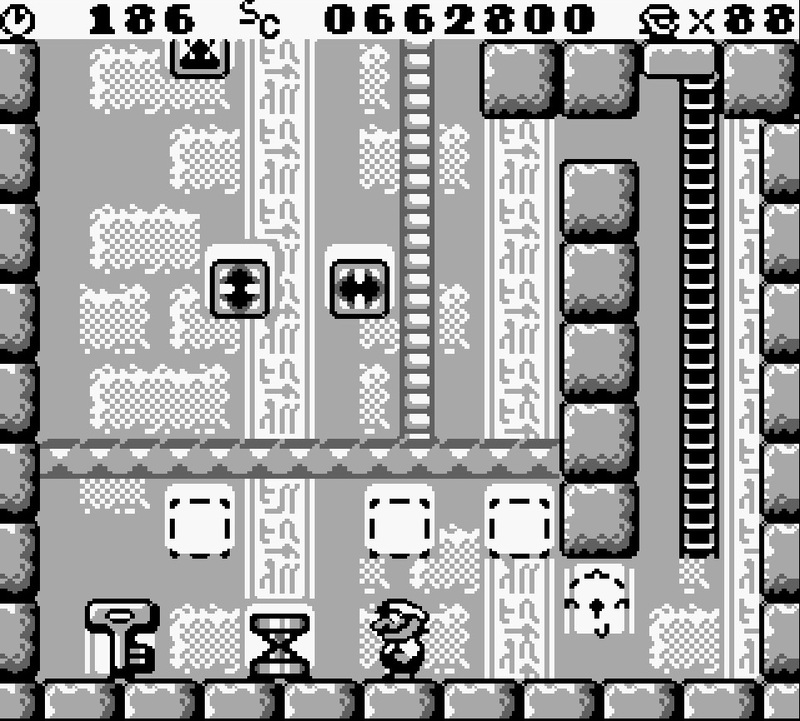 Use the icons to construct platforms – the trick is in finding the right combination that will enable Mario to throw the key upwards and climb ladders to then retrieve the key on a higher level. Donkey Kong is a devious and sometimes frustrating little game, mainly due to the fact that the exit key reverts to its original location if you lose hold of it for too long, and getting that key from point A to B is harder than it first appears. Puzzles will often necessitate you playing the key ahead (using conveyors, for example) and then frantically playing catch-up, and Donkey Kong comes together in this precise balance of problem-solving and reflex-based platforming. Mario can’t carry a key while climbing ladders, so send the key ahead via the conveyor belts, change the direction using the switches, and make your way downwards to meet it at the level exit. Shaking up the gameplay are end-of-stage boss fights against Donkey Kong himself that take you right back to the original arcade game and its barrel-jumping action. In another nod to Nintendo’s past, Donkey Kong, Jr. makes an appearance, throwing poison mushrooms and using switches to turn the level environment against you. In this version of Donkey Kong, Mario’s new moves set him apart from the Jumpman that he used to be over ten years previously. A quick turn and press of the A button will send Mario into a backflip, an easy way to reach higher ground. Mario can also perform a handstand, and with good timing you can launch him into another two jumps that increase the distance he can cover. The triple jump and backflip are inspired design additions, giving the player greater control over the character and the environment. Directing the plumber is even more fluid than in previous Super Mario outings – Mario will tuck and roll when falling from height, and moves can be chained together in a way that lays the groundwork for Super Mario 64 two years later. You also have the ability to swing on cables like an Olympic gymnast in a move that wouldn’t be seen again until Super Mario Sunshine in 2002. Donkey Kong ’94 is an evolutionary missing link between the 8- and 16-bit Marios and the 3D generations. 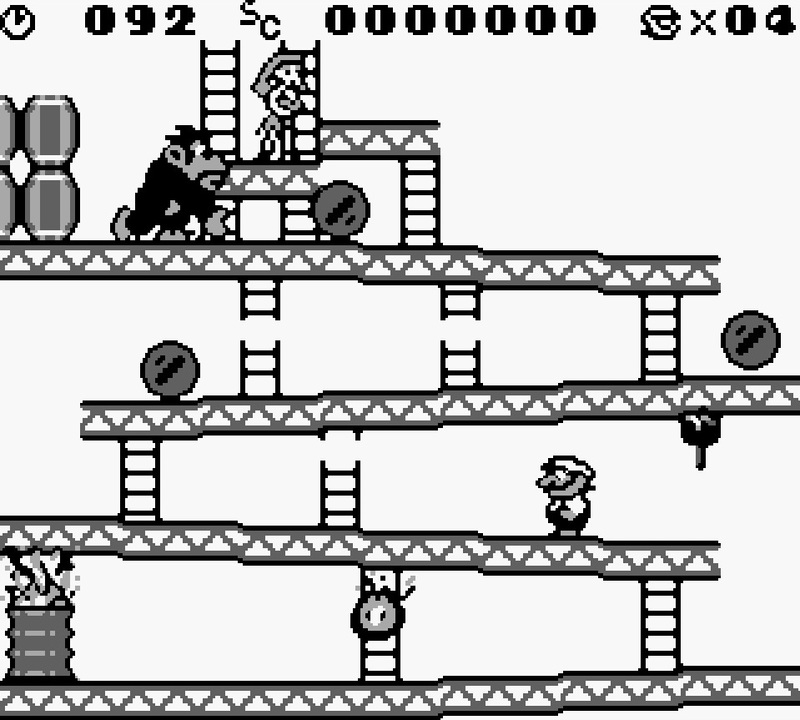 Donkey Kong’s legacy continues in the form of the Mario Vs. Donkey Kong series, and the game was notable for being the first Super Game Boy title, designed to be played on the SNES with a new peripheral. But Donkey Kong has been somewhat forgotten. Think of the original Game Boy’s best games and The Legend of Zelda: Link’s Awakening and Tetris are up there. Donkey Kong ’94 also deserves a place in the handheld’s hall of fame, as clever puzzles and tight platforming challenges make this a brilliant reimagining.